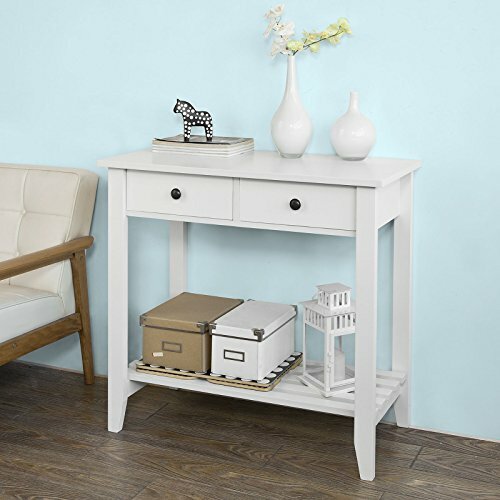 Stylish and sturdy console table hall table is great value for money. A diverse and contemporary product, would be suitable for any room. With 2 drawers and 1 bottom shelf. Material: chipboard and MDF wood. Dimension: W 33.46 x D 15.75 x H 31.50 inch. Made from high quality chipboard and MDF wood.